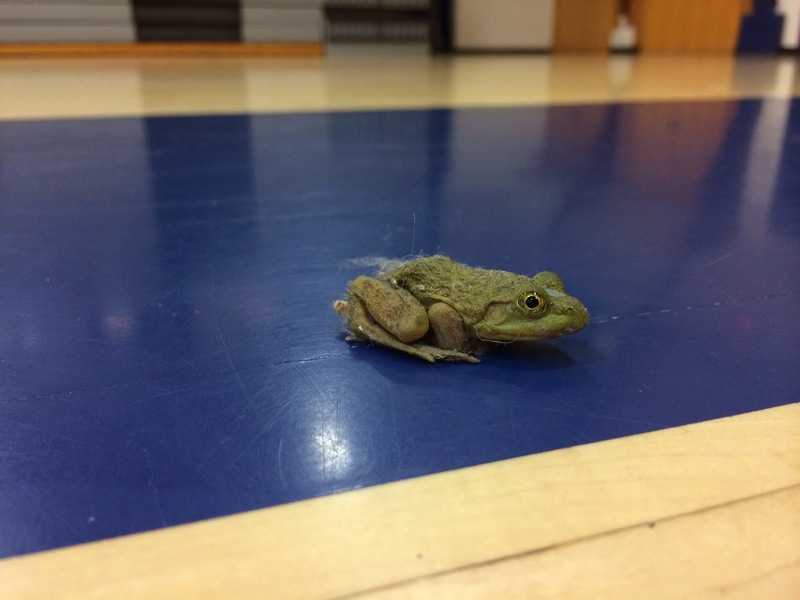 MIDD Volleyball 2017-18: Gym Frogs?! I've heard of "gym rats" before, but never "gym frogs." Lizzy sent me this picture of a little friend she found in the gym this week! I believe it must have gotten in with all of the construction going on at the Athletic Complex, but this is definitely something I've never seen in the gym before.